For those like me who bought The Sims 2 for my PowerPC-based Mac, it now works beautifully on Intel-based hardware with a bit of tweaking. 1. Open Audio MIDI Setup (/Applications/Utilities/), then check the Audio Output setting. 2. Change the Audio Output setting to 44100.0 Hz. 3. Quit Audio MIDI Setup. I recommend the following troubleshooting steps. Try running the Repair Disk Permissions function of the Disk Utility located in Applications/Utilities. Also, avoid installing the game to Applications or the Desktop; there are permissions conflicts that can arise when games are installed here. Games work best when they are installed in a separate games folder on the top/root level of your hard drive. If the game is not currently stored in one of the aforementioned locations then sometimes just moving the game is not enough and it is necessary to reinstall. Reinstalling also gets rid of any game data that may have become corrupt. Be sure to trash the game’s preferences file(s) located in Home/Library/Preferences and Home/Library/Application Support and Home/Documents when you do so. Then just trash the current copy of the game and install a new copy. Then run the patch again. 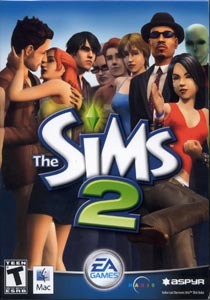 During the installation of the patch you will need to manual choose the folder The Sims 2 inside the Games folder. The apple installer will automatically choose the folder The Sims 2 in the Applications folder, this is not the right one. Newer post ← Whole New Whole Wheat Radio!